The Battle of the Bulge is one of the most legendary actions of WW2. It might not be up there with the D-Day landings, The invasion of Poland, the Siege of Stalingrad or the attack on Pearl Harbor, but it’s definitely in the second tier, and, like all the rest, many misconceptions about it survive. I know I certainly didn’t know all that much about the details–to me it was always just about German Tiger tanks in a snowy forest demolishing numerically superior allied forces. The truth is more complicated, of course, so we return to WWII to have a look. Now, for those who’ve been following this blog over the years, WWII means film and excerpts from Stacy Danielle Stephens’ excellent novel-in-progress, but today we turn to a nonfiction book that aims to be the definitive record of the Battle of the Bulge. Now, whenever someone says the phrase “definitive history” in my presence, I’m immediately assaulted by a sense of utter ennui. Definitive means exhaustive and authoritative, and that usually corresponds to boring. But Anthony Beevor’s book Ardennes 1944: The Battle of the Bulge, is anything but boring. It’s a nonfiction book–an exhaustive, authoritative nonfiction book–that reads like a thriller. The real people depicted are shown in much the same light, with their strengths and weaknesses, heroism and foibles, as would be the characters in a novel. The effect it electrifying, and keeps you turning the pages to find out what happened next. Of course, there is a lot of detail. Anyone reading this will learn a lot that they never knew–or didn’t remember–about these cold days in 1944. You’ll also be reminded that war wasn’t just about soldiers prancing around in armored vehicles–civilians were often caught in the crossfire, and played ambiguous roles as well, both as victims of atrocities and willing or unwilling accomplices to one side or the other. Finally, the book places the battle of the bulge in strategic context with regards to the rest of the war and explains how events on the Eastern Front, as well as in the Pacific Theater created the conditions for a tremendous battle. It is a complete book – history and entertainment in one convenient package. Gustavo Bondoni is an Argentine author. He is the author of Incursion, a novel of interstellar war played out over centuries. You can see the novel here. We’ve all heard the premise that, if you were to perfect a time machine, the first thing you’d be obligated to do with it would be to go back in time and kill Hitler before he gained power (as always, the XKCD take on this is likely the greatest ever). But that’s what people think in the 21st century. But what about in 1939? We know that a lot of Americans saw Fascism as a great thing, but how about the rest of the world? Well, at least one British novelist was pretty clear on the subject. In 1939, Geoffrey Household wrote a slim volume entitled Rogue Male which deals with exactly this subject. It’s the story of a British gentleman hunter who braves the wilds of Europe to attempt to get the most dangerous game of all into his crosshairs: the most well-defended dictator in Europe. Though Hitler is never named (remember, 1939 was pretty much appeasement-era Britain, and Household probably preferred not to be shot for treason), not much is left to the imagination. It can’t really be anyone else. So we have the answer to our question, at least in one very specific case. Perhaps the most interesting thing about this one for me was, that as someone who isn’t an expert on the history of the international thriller (except for The Thirty-Nine Steps), I actually stumbled onto this one. On the same day that I grabbed The Inscrutable Charlie Muffin, I picked up a seventies paperback (see image) with the most lurid pink lettering ever. Were it not for the cover blurb, I would have been convinced that this one was one of those suburban wife-swapping tales from the decade that taste forgot (“Rogue Male” would have worked rather well as a title for one of those)… Nothing could be farther from the truth. Recommended for students of the genre, for anyone interested in cultural expressions around WWII unsullied by modern revisionism or just fast-paced thrillers. Gustavo Bondoni is an Argentine novelist and short story writer whose novel Outside is a tight thriller that deals with the coming issues of post-humanity. Today brings the conclusion of our excerpt from Stacy Danielle Stephens’ historical novel charting the rise of Adolf Hitler from Chancellor to Führer. Those who missed Part 1 can read it here. 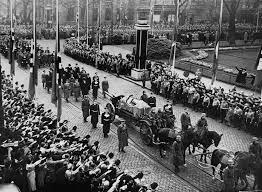 Near the end of May, 1934, German President Hindenburg returned to his estate at Neudeck, leaving Berlin for what no one doubted would be the last time. Before he left, he remarked to Vice Chancellor von Papen that things were going badly, and asked him to see what he could do about the Nazis. “Only weaklings tolerate no criticism,” Vice Chancellor Franz von Papen said in a speech he gave at the Landgrafenhaus of the University of Marburg on June 17, 1934. Not by coincidence, his speech was highly critical of the Storm Detachment, of the Nazi Party, and of Hitler’s repressive policies. His audience was very much surprised, because it was von Papen who had persuaded President Hindenburg to appoint Hitler Chancellor of the coalition government. His audience was also delighted. If von Papen were no longer supporting Hitler, a new, less repressive, government might be formed. That his speech that day was the last public criticism in Germany of Hitler’s government by anyone in a position of authority for more than ten years indicates how very much mistaken they were. On June 21st, 1934, Hitler and General Blomberg, the Defense Minister, met with President Hindenburg, at the president’s request, to discuss the growing friction between the Nazi Storm Detachment and the Reichswehr. “The Reichswehr stands ready to do as you wish, Sir,” General Blomberg replied. How he intended to subdue two million Brownshirts with a force of one hundred thousand men, he did not explain. 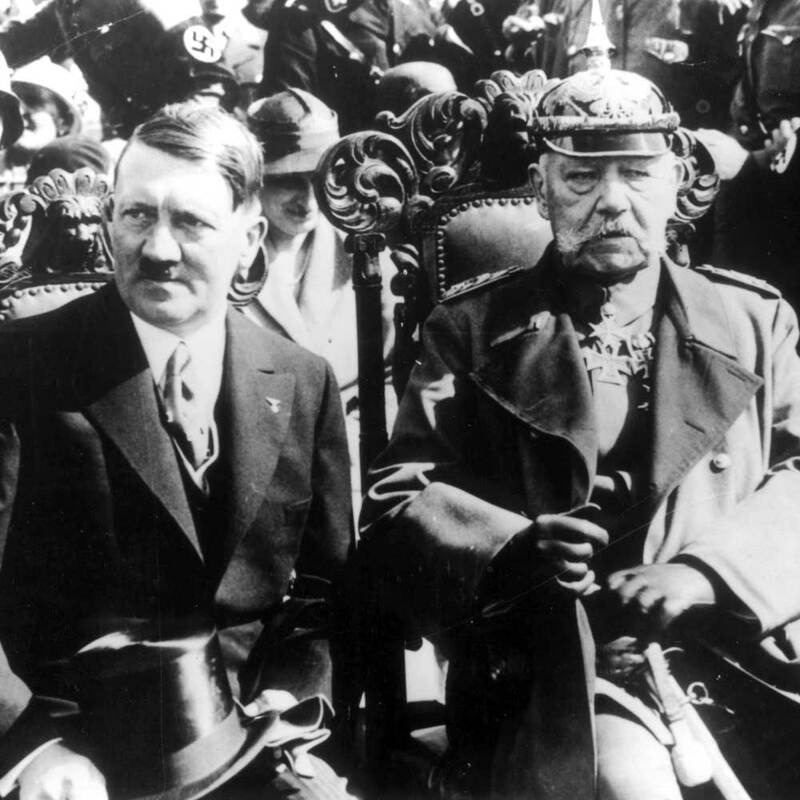 Of course, Hindenburg and Blomberg both knew that Hitler would be unstinting in his efforts to further his own interests; as it happened, civil war would be as hard on him as it would on Germany. He could therefore be depended upon to resolve this crisis decisively and in short order. Careful inquiries made over the next several days established the understanding that Hitler’s loyalty to the Reischwehr in this crisis would be rewarded with an army oath of loyalty to him; further, the SS, under Heinrich Himmler’s control, would stand with Hitler and the Reichswehr against Ernst Roehm and the Storm Detachment. On June 25th, the Reichswehr was put on alert. In Essen on June 28th, 1934, Ilse Stahl, who had previously been Josef Goebbels’ secretary and mistress, married Gauleiter Josef Terboven. Goebbels, Goering, and Hitler flew in from Berlin to attend the wedding. Goering flew back to Berlin immediately afterwards; Hitler stayed in Essen. On the 29th, he inspected a Reich Labour Camp, then spent the night in Bonn. Also on the 29th, the Völkischer Beobachter published an article by General Blomberg, expressing the Reichswehr’s support for Hitler and the Party. This was a good indicator of which way the wind blew and how soon the ax would fall. Early in the morning of June 30th, 1934, Hitler flew to Munich, and shortly after 6 AM, personally placed Ernst, who had just been woken up, under arrest, informing him that he was considered a traitor and instructing him to get dressed at once. Hitler left, and when Ernst had his clothes on, a pair of ordinary police detectives took him to Stadelheim prison. That afternoon, finally willing to accept the evidence Heinrich had collected and which Hermann had acquainted him with, Hitler uttered the code word, “hummingbird,” to Josef, allowing the purge of Brown Shirt leaders to begin. It would include from one hundred to two hundred men, most of them homosexual. By July 2nd, it was complete. That same day, Hitler received a telegram from the German President, which read: From the reports which had been brought to me, I see that by your decisive initiative and by your brave personal activity you have nipped all the treasonable activities in the bud. You have saved the German people from a grave danger. For this I express to you my heart-felt gratitude and my sincere respect. With best greetings, von Hindenburg. 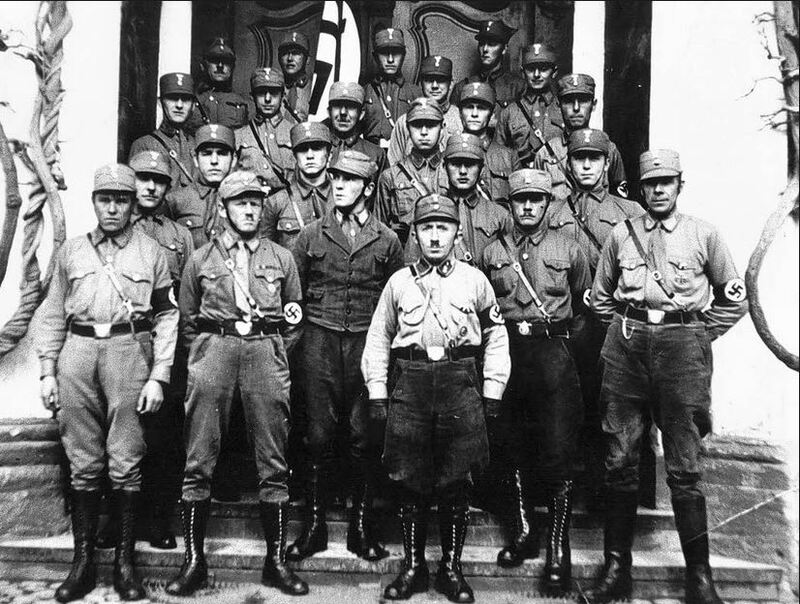 On July 3rd, Chancellor Hitler’s Cabinet met, officially asking the Reichstag to issue retroactive carte blanche; on the 13th, by a unanimous vote, the Reichstag sanctioned these murders (referenced as “events of June 30th, and July 1st and 2nd”), writing them off legally as emergency defense measures undertaken in the best interests of the nation. Officially, seventy-four conspirators had, by an imperative necessity, been summarily brought to justice, but just as officially, it was made known that there would be no accounting, no review, and no further explanation either requested or offered for what had happened in the course of those three hot summer days. An irrevocable precedent was established on July 13th, 1934. From that date onward, it was clear to everyone that Adolf Hitler now uniquely and absolutely embodied the legitimate and freely elected government of Germany, and that if he felt a certain number of murders were in the best interests of Germany, there would be no questions. Not from the Reichstag. Not from the courts. Not from the public. There would be no questions from any industrialists or bankers, nor from the church in Germany, whether Lutheran or Catholic. Not even if the number of murders were in excess of ten million. In 1933, no one had asked why a new special detention facility, a Konzentrationslager, or Ka-tset, was needed at Dachau. In 1934, no one asked why three more Ka-tsets, at Sachsenhausen, Buchenwald and Mauthausen, were also necessary. By the summer of 1934, it was universally understood in Germany that because difficult questions would no longer be asked, they would simply be set aside in these Ka-tsets. What was not understood at that time was that in every Ka-tset, terrible answers would eventually be found. On August 2nd, 1934, German President Paul von Hindenburg died. Hitler had been waiting for this patiently, but not idly. He’d already made arrangements to combine the offices of Chancellor and President into a single office he would hold, with the title Führer. 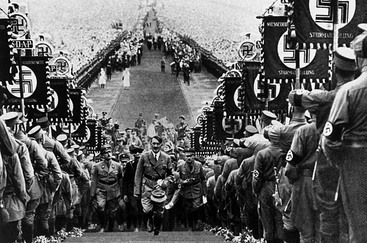 Hitler’s popularity was always equivocal. While very few Germans were dissatisfied with HItler’s accomplishments, even fewer were at peace with themselves about the price at which these things were achieved. People’s Observer; the Munich-based newspaper of the Nazi Party. Today we present a new excerpt from Stacy Danielle Stephens monumental work-in-progress about WWII and the events that led to it. What makes this particular piece fascinating is her imagining of how Hitler would have spoken to his inner circle at a key point in his political ascent. Stacy’s willingness to look beyond the monsters and try to study the humans beneath is what makes her novel so attractive to us – after all, our manifesto does state that we enjoy a multi-disciplinary approach to things… and few works look beyond the obvious in history as insightfully as this one does. After the torchlight procession and public acclamation when Adolf Hitler became Chancellor of Germany on January 30th, 1933, he had a private supper with his closest friends; Hans, Rudolf, Hermann, Josef, and, of course, Ernst, in a small room of the Chancellory. “I think Hindenburg will come around,” he told them. “Perhaps even join the Party. He liked it very much today when I told him I intend to serve him as loyally as his Chancellor as I did when I was his soldier, and he was my hero. They all smiled at this. Adi – as everyone around the table knew him – nodded. His smile satisfied Ernst. “Quite so,” Hermann said as the others nodded. Adi now turned his bright blue eyes toward him. “We’ve cleared them out before,” Ernst happily reminded him. “Let’s all have a walk in the garden,” Adi suggested, suddenly quite cheerful. Perhaps he’d forgotten that he now had a garden. It was all so new, this dream come true. They’d pursued it for more than a decade, and tonight it was no longer a dream. As they all rose from the table, Adi resumed speaking, going on at some length as they walked, enumerating the problems of eradicating the communists without precipitating any violent reactions. He stopped and glanced around at the diminutive garden. Om February 27th, 1933, while dining at the Herrenklub in Berlin, President Paul von Hindenburg and Vice Chancellor Franz von Papen noticed the sky glowing red, and heard shouts. Rising from their table and going to a window, they saw the dome of the Reichstag brilliantly lighted, shimmering and wavering as sheets of flame and billows of smoke contended in a wild sacrificial dance, engulfing and consuming it. Even as it burned, Hitler, Goebells and Goring were on the scene, denouncing the fire as an obvious communist crime against the new administration. The next day, the Prussian State Police issued a public statement that evidence in their possession indicated that the Reichstag fire was part of a Communist conspiracy to overthrow the German government. On the strength of this statement, President Hindenburg issued the “Decree of February 28th” suspending seven articles of the German Constitution. The extent to which this decree allowed police to disregard individual civil liberties was never made explicit, although it became increasingly clear. In the elections of March 5, 1933, the Nazis won 44 percent of the popular vote, and 288 seats in the Reichstag; their anti-Communist hysteria had failed to free them of their coalition, let alone bring them the two-thirds majority necessary to alter the constitution. To obtain the majority he could not secure at the polls, Hitler resorted to the flagship in his arsenal of chicanery: brute force applied with sleight-of-hand and masked by eloquence. The decree of February 28th allowed Hitler to authorize the arrest of a number of Communist and Socialist Reichstag members. With only one hundred such arrests, the Reichstag would still have a quorum, and Hitler’s coalition would have a two-thirds majority. Further, by making these arrests sporadically over the course of two weeks, the Nazis leant credibility to the allegations of a conspiracy while obfuscating their real purpose. 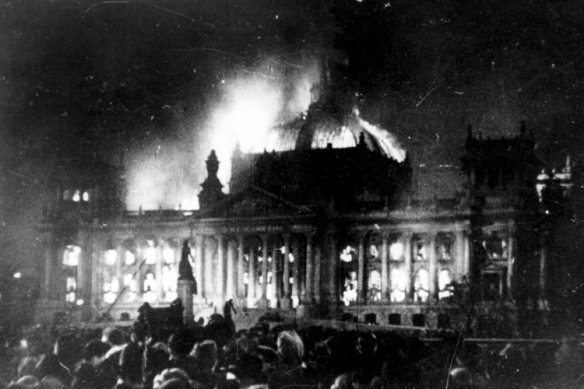 There could be no doubt that feelings of unease and disquiet were prevalent in the weeks following the Reichstag fire. Aside from the anxiety of possible revolution, Hitler’s unabashed willingness to use such dictatorial powers as were already at his disposal, without hesitation and without remorse, had caused profound, widespread concern. In choosing to open the newly elected Reichstag on March 21st, Hitler hoped the nation and the world would infer that Germany had passed through a formative, solidifying turmoil, and that he would now lead the country through an indefinite period of peace and progress. In choosing to convene the Reichstag opening at the Garrison Church in Potsdam, Hitler intended that both the Army and the vestigial remnants of the glorious former Empire would infer that he held them in reverence. After responding to this, Hitler bowed low before the President, grasping his hand. With few exceptions, the world believed Hitler to be everything he pretended to be, and nothing else. With even fewer exceptions, Germany also believed. Hitler was Chancellor of a coalition government. The Nazis never received a majority of the popular vote, and never had a majority of seats in the Reichstag. However, they had the largest share of seats, and could prevent the formation of any coalition which excluded them. Marinus van der Lubbe, a Dutch Communist with prior arson convictions, was arrested in the Reichstag that same evening, and later found guilty of setting the Reichstag fire. He was executed on January 10th, 1934. In 1967 and 1983 his conviction was upheld by West German courts. In 2008, the German Federal Court of Justice overturned his conviction on the grounds that it was politically motivated. While there is every reason to suppose that van der Lubbe acted with much encouragement and material assistance from the Nazis themselves, any evidence supporting the supposition has proven to be contrived. Today brings the second and final part of Stacy Danielle Stephens’ excerpt about the Rheinland incident in the years prior to World War II. As always, a fascinating glimpse beyond the dates and facts and into the minds of the principal actors. He would be leaving on January 3rd, 1935, to meet with Mussolini. He intended to give up a lot of sand and rocks near the Libyan border with French Equatorial Africa in the hope that Mussolini would abandon long-standing Italian claims against Tunisia. Laval also hoped to sustain Mussolini’s disenchantment with Hitler, who had not made a good impression on Il Duce at their first meeting. The friction between them regarding Austria was the sort of thing Laval could exploit to France’s advantage. “It’s nothing but desert,” Mussolini observed, when he saw the map of it himself on January 4th. “There are probably a few villages in there,” Laval grinned. There was no pretense about him, Mussolini realized. He had brought sand and rocks, and wouldn’t pretend they were anything else. He was a hard-bitten, hard-boiled lout, but in contrast to British or German Ministers, he could be liked, although he was no less conniving than they. The point, really, and Mussolini understood this, was the appearance of concession, which would bring with it good press and a bit of prestige. It was enough to clinch the bargain which Laval and Mussolini had really been after: an agreement that if Hitler again attempted to seize Austria, the French army would support Italian action against him, and that if Hitler moved his army into the demilitarized Rheinland, the Italian Air Force would support French action against him. Early in February, Laval went to London, where he reaffirmed his commitment to a Pact with the Soviet Union without clarifying whether or not Czechoslovakia would be a co-signatory. British statesmen, regardless of which party was in office at any moment, mistrusted any series of interlocking treaty obligations, always bearing in mind the stacked-rifle effect that had played out in the summer of 1914. A pistol-shot in Prague might all too easily replicate the avalanche of events spawned at Sarajevo. When Laval had returned to France, Austrian Chancellor Schuschnigg came to Paris to discuss the defense of Austria with him. Because the Socialist Parties of Austria and France had recently allied themselves with one another, Léon Blum called for public demonstrations against the Austrian Fascist. As a pragmatic negotiator bargaining for the survival of France, Laval did not concern himself with ideology, particularly if that ideology could only weaken and isolate France. In March 1935, Hitler announced, in two separate statements, the existence of the Luftwaffe, and the reinstatement of Military Conscription in Germany. He intended to create thirty-six army divisions forming twelve corps. It was Hitler’s contention that this action would somehow make a European War less likely, and that it would make Germany better able to co-operate in the international peace process. At about this same time, French Prime Minister Pierre-Étienne Flandin was attempting to increase France’s required length of military service to two years, which was necessary to make up for the smaller number of draft-age men available in France. When this was brought to a vote in the French Parliament, it was seen as an escalating response to Hitler’s action, but it had been months in developing, as Flandin had had to overcome Socialist opposition to the change. On May 15th, 1935, Paul Reynaud proposed the creation of an Armoured Corps along the lines presented the year before by Colonel De Gaulle in his book, Toward a Professional Army. Léon Blum was among those who argued against Reynaud’s proposal; it was defeated by a large majority. On June 18th, 1935, Britain and Germany signed a naval agreement limiting the displacement tonnage of the Kriegsmarine to thirty-five percent of the Royal Navy’s. Neither France nor Italy had been informed of the negotiations leading to this treaty, nor did either nation approve it. This was not the first time Germany had violated the Versailles Treaty, but it was the first instance of collusion by a second nation in a German treaty violation. 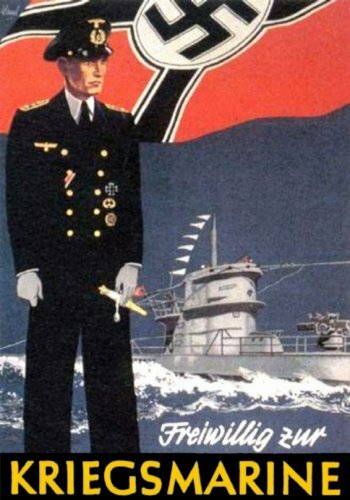 And while neither Laval nor Mussolini could, on principle, find fault with self-interested duplicity in an ally, both men felt that the Anglo-German Naval Agreement had given the lie to the united front the three powers had presented at Stresa; this was, undoubtedly, Hitler’s purpose. Germany had no need for colonies, and little use for a surface navy, but everything to gain in alienating the British from their former allies. Knowing that Mussolini had agreed to send the Italian Air Force in support of the French army if France opposed a German attempt to reoccupy the demilitarized Rheinland, Hitler had instructed the German Embassy in Rome to watch Mussolini’s mood closely, to determine if he would still abide by that agreement after the failure of the Hoare-Laval plan. On February 22nd, 1936, ambassador Ulrich von Hassell notified Berlin that Mussolini had at last changed his mind, not only about the Rheinland, but Austria as well. 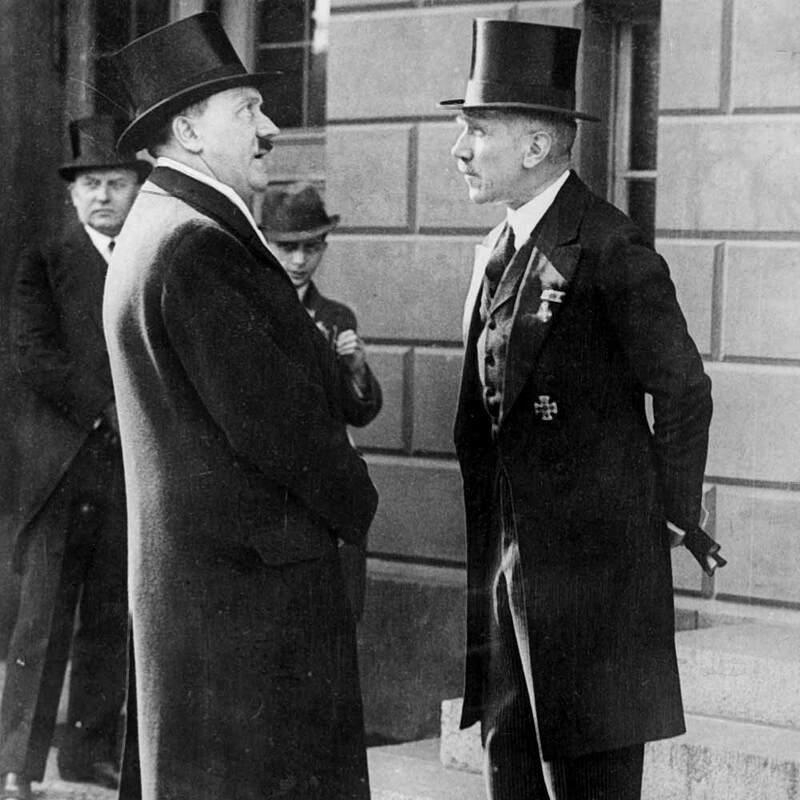 In Berlin on Monday, March 2nd, Adolf Hitler met with the French ambassador, promising to have concrete proposals for an understanding between their countries the next time the two men met. On Friday, March 6th, Hermann Goering called a meeting of the Reichstag for noon the next day while Propaganda Minister Josef Goebbels brought the foreign press to a hotel, where they “attended a news conference” until late the following morning. At dawn on Saturday, March 7th, 1936, elements of the Wehrmacht entered the demilitarized zone of Western Germany known as the Rheinland. The 22,000 men taking part in this were in uniform and lightly armed, but were transported in non-military vehicles, and had been instructed to halt and withdraw if they encountered any opposition from the French army, although this possibility was considered to be highly unlikely. When the meeting of the Reichstag had been called to order, Hitler began speaking, first giving more than half an hour to a summary of German History as understood by the Nazi Party. Then he took a moment to make a cryptic reference to the Polish Corridor before discussing “The German Question” at length. 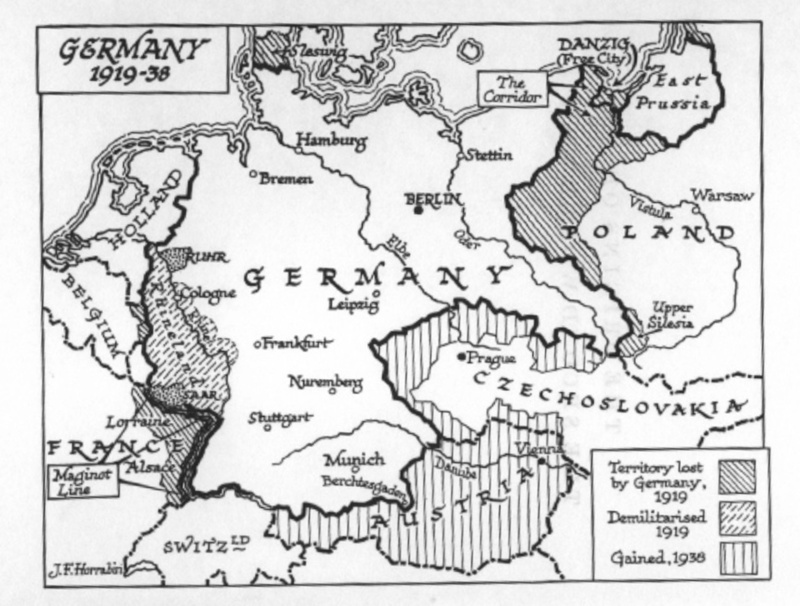 The salient point in this portion of his speech was his statement that “the German Reich Government has today re-established the full and unlimited sovereignty of the Reich in the demilitarized zone of the Rheinland.” Among his conclusions was that returning the German army to the Rheinland was in the best interests of France in particular, and of Europe in general, since it was a necessary part of his opposition to Bolshevism, and to restoring the German nation. As a vouchsafe of his sincerity, he proposed the establishment of a new mutually demilitarized zone, which, quite by coincidence, would require French forces to withdraw from the Maginot Line. Before Hitler had finished speaking to the Reichstag, the Polish government notified France that they were prepared to adhere to their alliance, and requested an immediate discussion to determine what actions should be taken. 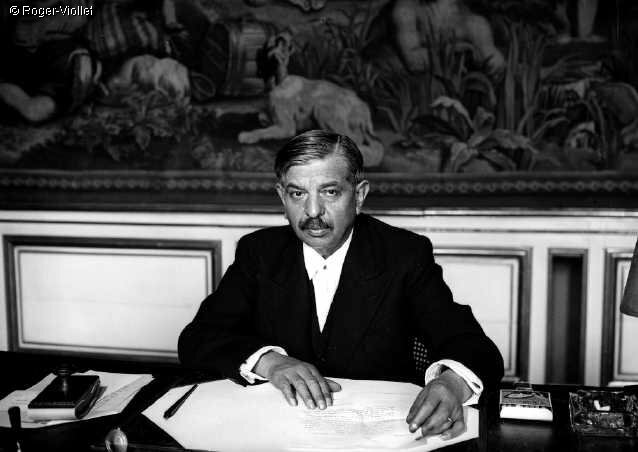 On Sunday, March 8th, French Prime Minister Sarraut addressed the nation via radio, assuring them that the German threat would not be tolerated. However, British Prime Minister Stanley Baldwin’s only communication to Sarraut was to say that although Britain would support France in the event of an attack, he was concerned that action against the Germans might result in Germany “going Bolshevik”. On Monday, March 9th, having not heard from their French allies, the Polish government was the first to endorse the German remilitarization of the Rheinland in an announcement stating that Hitler’s action was an appropriate response to the French alliance with the Soviet Union. 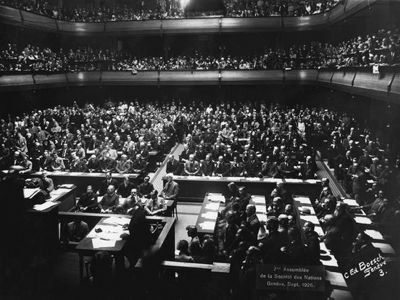 On Wednesday, March 11th, Sarraut announced that France would not take unilateral action against Germany, but would bring the matter to the League of Nations in conjunction with other signatories of the Locarno Pact. Neither the League nor the Pact acted against Hitler. That this attitude aided and abetted Hitler’s step-by-step plans for Europe was, from the British perspective, an unfortunate yet irrelevant coincidence. From 1915-1919, the birthrate was half what it had previously been, so that by the 1930s, France faced an increasing shortage of manpower. Although France had had more tanks than Germany all along, France had no Armored Divisions until January of 1940, several months after the validity of De Gaulle’s ideas had been demonstrated in Poland by the Wehmacht. It should be noted that Poland had a mutual assistance pact with Germany as well as with France. In the absence of communication from France, the Poles felt that standing back to back with Hitler was probably safer than facing him alone with their backs to the Soviet Union. Lost among the striking images we have of World War II are the often even more important political maneuvers that took place among political leaders before and during the war. This fascinating chess game is often overlooked, which is unfortunate. Luckily, however, we have access to excerpts from Stacy Danielle Stephens’ monumental historical novel about the war – and she knows exactly how to highlight the important parts of that political history – whether it be in Europe, Asia, Africa or America. Today, she takes us on a quick tour of the big picture as things began to heat up. 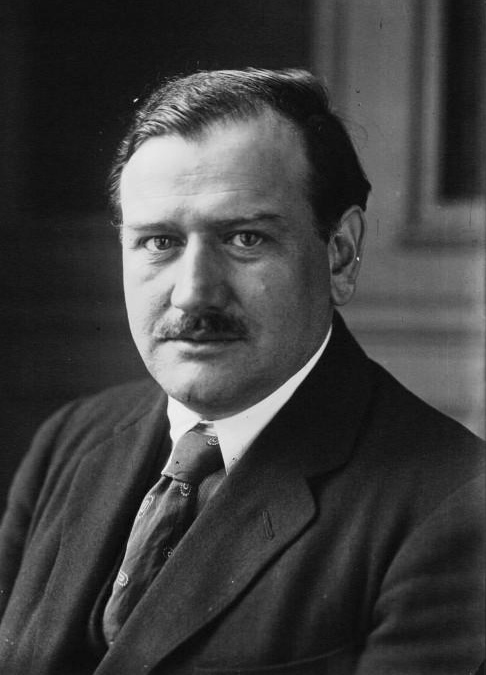 Édouard Daladier had become Prime Minister of France on January 31st, 1933. In March, Polish Dictator Marshal Piłsudski had suggested to him that Poland and France should together attack Germany and depose Hitler. Daladier, however, preferred the Four Powers Pact Mussolini proposed on March 19th, 1933. When Deladier signed the Four Powers Pact, in June, 1933, Piłsudski decided it was time for Poland to come to terms with Hitler, and began negotiating a German-Polish non-aggression pact. Adolf Hitler’s most unpopular act in his first year as Chancellor was a ten-year pact signed by Polish Ambassador Lipski in Berlin on January 26th, 1934, pledging mutual non-aggression between Germany and Poland, including a promise to defend each other against attack. In France at this same time, a financial scandal brought down the government headed by Camille Chautemps. A new government formed by Édouard Deladier on February 6th was brought down by rioting that same evening. On February 9th, Gaston Doumergue was named Prime Minister, and Pierre Laval was appointed Minister of Colonies. On February 12th, Labour Unions in France had called for a national strike to protest the demonstrations of February 6th. Communists and Socialists also co-operated in the protest, working together for the first time in twelve years. It was a germinal moment for what would become the Popular Front. Hitler wanted German automakers to mass-produce an automobile the average German could afford. Of course, the new factories necessary to build several million autos could be retooled to produce several thousand tanks or aircraft easily enough. 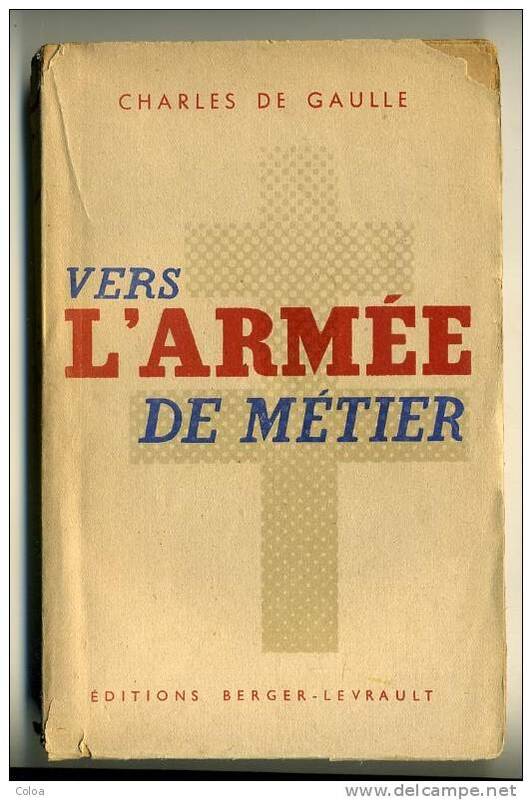 In May of 1934, Colonel Charles De Gaulle’s book, Toward a Professional Army, was published in France. In it, he proposed the creation of an elite force capable of deadly strikes. This force would total seven divisions composed of men serving six year enlistments, rather than the eighteen-month conscription which was the standard in France at the time. Six of these divisions would be armoured, with one regiment each of heavy and medium tanks, supported by a battalion of light tanks for reconnaissance, as well as engineers and artillery. The seventh division would be mechanized infantry. De Gaulle’s book was not well received by the army overall, because it defied standard military procedures, and because his proposals were not compatible with France’s reserve system. It was even less well received by the general public, because a professional army was considered reminiscent of the military coup that had ended the Second Republic in 1851, and which re-established the French Empire. On June 14th, 1934, Hitler flew to Venice to meet with Benito Mussolini. Although they made several public appearances over the course of three days, they spoke privately, without keeping any record of their discussions. Time Magazine reported that the only official statement the two dictators made, issued after Hitler had returned to Germany, was that they had begun a “cordial spiritual collaboration,” but also reported that the two were rumoured to have come to an agreement concerning Austria. 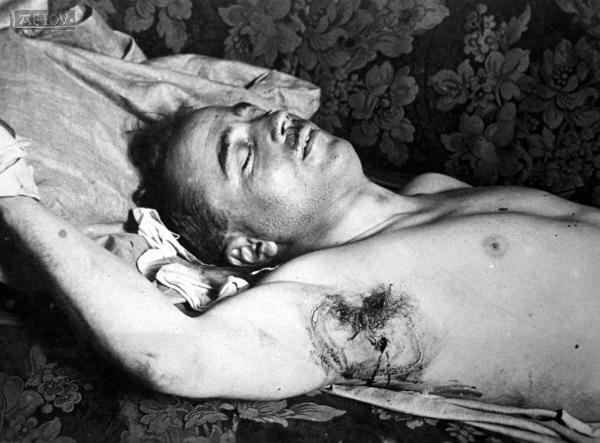 On July 25th, 1934, Austrian Nazis assassinated Chancellor Engelbert Dollfuss. Guessing that this was an attempt at Anschluss, Mussolini moved several army units to the Austrian border, indicating that German intervention in Austria would not be permitted. Obviously, the two dictators had failed to come to an agreement regarding Austria. The assassins were apprehended in Vienna and executed. Kurt Schuschnigg became Chancellor of Austria. A plan under which Britain, France, Germany and Italy would arbitrate border adjustments between or among European nations. Mussolini’s intent was to obtain French and British assistance securing the borders of his Austrian and Hungarian allies against Hitler. The Poles and Czechoslovakians saw it as a weakening of collective security and an accommodation of Hitler at their expense. That France, with the construction of the Maginot Line, appeared to be planning for a defensive war against Germany, which would leave Hitler at liberty to attack France’s allies, greatly reinforced this perception. The French Parliament never ratified the Four Powers Pact. This meant that the western half of Prussia, as well as the small sections of Pomerania and Silesia which had been taken away under the Versailles Treaty could not be wrested from Polish administration by force until 1944. As it happened, the Polish Corridor would be the least of Germany’s concerns by 1944. Deladier, a Radical, had dismissed a conservative police official. Conservative protesters attempted to seize the Chamber of Deputies. It is not clear what their intentions were, but the establishment of a provisional fascist government was among the possibilities. One police officer and fourteen rioting civilians were killed in the mêlée, and more than a thousand injured. Foudre mortelle; literally, mortal lightning. Toward a Professional Army was highly regarded in Germany, where its principles were not only embraced, but enthusiastically applied when Hitler later created Panzer divisions capable of lightning war. He was in practice a dictator, modeling his “Austrofascism” after Mussolini’s example, having also aligned his government with Italy. Today we continue our excerpts of Stacy Danielle Stephens excellent historical novel. Apart from bringing the war to a human level, she has a knack for finding and writing vividly about things that are mostly ignored by the canned histories that came later. One great example is the segment about the USS Greer that we ran previously – another is this post. On July 15, 1933, two dozen Italian Savoia-Marchetti S.55 flying boats, under the command of Air Marshal Italo Balbo, landed on Lake Michigan. It was easily the most dramatic and popularly acclaimed arrival of a foreign military officer in American history. 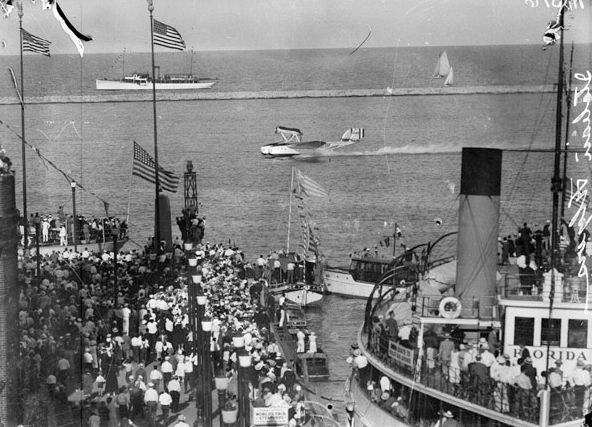 Meeting later with Charles Lindbergh and having lunch with President Roosevelt, Balbo captivated the imaginations and won the hearts of the majority of Americans. On December 9th, 1934, at Wal Wal, in southern Abyssinia, Italian Dubats encountered Camel-mounted Ethiopian soldiers. There was an exchange of fire, in which the number of Italian dead increased as the weeks went by. Flatly ruling out arbitration, Mussolini demanded that the Ethiopian government make immediate reparations. On January 3, 1935, Ethiopia appealed to the League of Nations for arbitration. For the next several months, each commission, committee, or subcommittee to which the matter was referred recommended that Ethiopia submit to arbitration, then referred the matter to another commission, committee or subcommittee. Apparently, the minutes of the meeting as recorded by British clerks indicate that the words “of Europe” had been agreed upon from the beginning. French and Italian sources recall that Mussolini later requested they be added. Much has been made over this point, but in either case, it is clear that France and Britain were standing behind–or, more accurately, hiding behind–the precedent established at the League of Nations. Since the peace of Europe depended upon Italy’s support for Austrian independence, Mussolini had every reason to believe that the agreement signed in Stresa was a quid pro quo, giving him carte blanche against Ethiopia. In May, while he was still only Foreign Minister, Laval had persuaded the League of Nations to postpone for three months any decisions regarding Italy’s provocations of Ethiopia. In August, as Prime Minister, Laval had to find a way to appease the League of Nations while keeping Mussolini as an ally poised against Hitler, but already, Léon Blum had coined the phrase, “With Mussolini, it is not a question of wrongs, but of crimes,” and the Socialists had taken it up as a slogan. The prevailing consensus in every corner of France, as well as Britain, was that Mussolini must be condemned and Ethiopia supported through, and in concert with, the League of Nations. Knowing Laval’s reputation for negotiating the impossible into mere difficulties, British Prime Minister Stanley Baldwin sent his foreign minister, Sir Samuel Hoare, to Paris, with no further instructions than to push Laval to his limits and keep Britain out of war. Hoare began the discussion with a suggestion that Britain and France attempt to get an agreement from the Germans limiting the size of the Luftwaffe. He then mentioned, almost casually, that while keeping Mussolini in opposition to Hitler was quite desirable, his government would have to stand behind the League. Nothing had been decided, and Laval was less certain of British support for France than he had been before the meeting. Hoare, meanwhile, addressed the League of Nations, calling for unity without mentioning any specific actions, or revealing what part Britain intended to play in that unity. It was nonetheless clear that Baldwin’s government hoped it could stand solidly behind Ethiopia and the League of Nations, but at a very comfortable distance. On August 31st, 1935, President Roosevelt signed the Neutrality Act, which had passed both houses of Congress by majorities that approached unanimous. It established the licensing and registration of arms manufacturers in the US, and provided for an embargo of arms shipments to foreign governments at war. It also restricted travel by US citizens on vessels of other nations at war. The President also announced that the US would not abide by any League of Nations sanctions against Italy. Since shipments of petroleum were not restricted by the Neutrality Act, and Ethiopia did not have money to purchase weapons even if they could have been exported from the US, the Neutrality Act of 1935 was essentially supporting Mussolini while purporting otherwise, and served as public notice that if the League of Nations were forming a posse, the US would not be riding in it. On September 8th, 1935, Laval telegraphed London, asking how Britain would respond if Germany seized the moment and attacked Austria. On September 11th, he sent a telegram to Rome, reminding Mussolini that France was obligated to act in accordance with the League of Nations. Laval received no reply to either telegram. On October 3rd, 1935, Italy invaded Ethiopia. Want to know what happens next? Never miss an installment – hit like on our Facebook Page! Irregular auxiliaries in the Italian Colonial Army. It was Ethiopia which was seeking arbitration, and Italy which was refusing it. Mussolini appears to have interpreted this as an endorsement of his intentions toward Ethiopia. This may well have been Laval’s intent. What led Hoare to assume this would be an effective ice-breaker is anyone’s guess. The last post of 2014 brings another excerpt from Stacy Danielle Stephens’ amazing historical novel, we get yet another glimpse into WWII. This time, we stare the horror of the Holocaust in the face by going into the details that not everyone is aware of regarding its early days. Can you tell we love these little slices of history? (you can read some of the earlier ones here, here, here and here – highly recommended!). 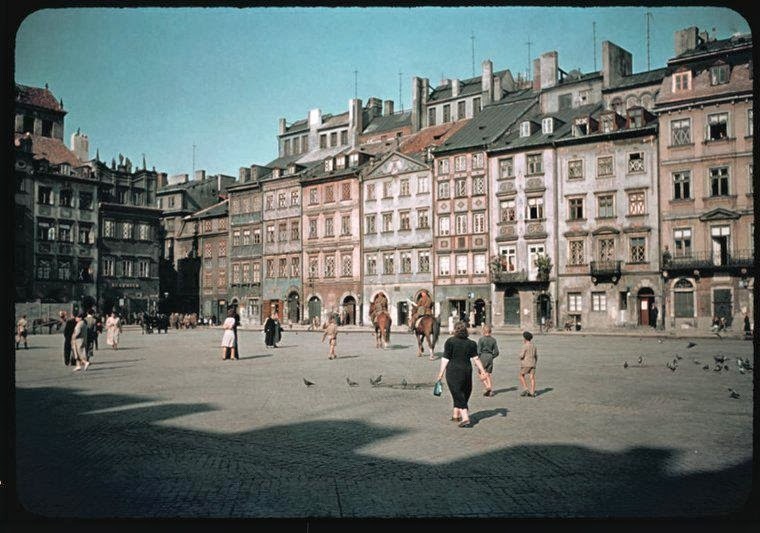 On March 31st, 1938, the Polish Senate passed The Expatriates Act, a law which had already passed the Sejm, the lower house of Poland’s parliament. The intent of this law was to prevent those European Jews who were nominally Polish citizens from entering Poland. On October 15th, 1938, the Polish Government announced that effective October 31st, 1938, all persons holding Polish passports and wishing to return to Poland must first obtain a special stamp at the Polish Consulate in their country of residence. It went without saying that Jews would not be given the stamp. At eight o’clock on the evening of October 27th, 1938, Herschel Grynszpan’s parents, brother, and sister were taken into police custody in Hanover. 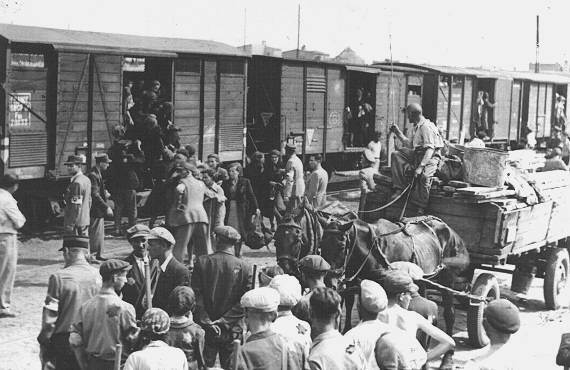 They were among approximately 17,000 Polish Jews residing in Germany who would be taken in cattle cars to the Polish border, then driven like cattle across the border, arriving in Sbenszyn on October 29th, 1938. Because they had valid Polish passports, the Polish government could not refuse them entry; however, they were housed in the stables of a military installation. On the morning of Sunday, October 30th, the Red Cross brought food to the camp in Sbenszyn. The detainees there hadn’t eaten since their arrest on Thursday. On Thursday, November 3rd, Hirschel, now living in Paris, received a letter from his father, telling him what had happened to his family, and urging him to go to America, if he could, and to attempt to help them from there. Herschel had hoped to study in Paris, once his immigration status had been rectified. Although he could not legally remain in Paris, French authorities were unable to deport him. His German visa had expired, and because he was Jewish, neither Germany nor Poland would issue him a new visa. There was no possibility of his emigrating to America. On Monday, November 7th, he purchased a revolver and a box of ammunition, then went to the German Embassy. “On what business?” she asked. He did not answer. “Do you have your passport with you?” Again, he did not answer. She pressed an electric signal to summon assistance from the Embassy staff. Legation Secretary Ernst vom Rath responded. When he entered the reception area, Herschel rapidly fired six shots. Three slugs went wide, embedding themselves in the wall. One struck Rath’s foot and another his shoulder, and one struck his spleen. 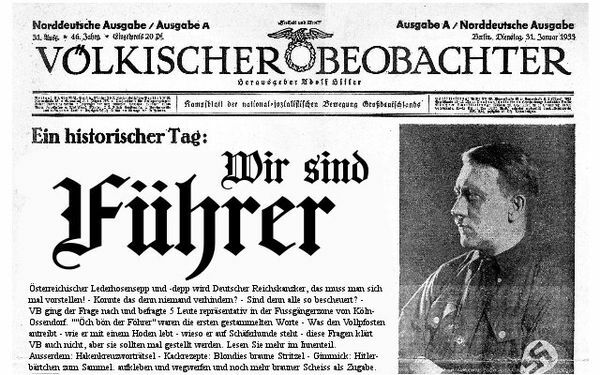 On November 8th, 1938, the Völkischer Beobachter’s front page banner headline screamed HEINOUS JEWISH ATTEMPTED MURDER while a smaller front page headline spoke of a CRIME AGAINST THE PEACE OF EUROPE. Neither of these articles concerned the ruthless deportations which had recently occurred, but were about the Embassy shooting in Paris, as were six more articles on the inner pages. Other newspapers in Germany were clamoring for justice, punishment, and consequences. To heighten the drama, Hitler sent his personal physician, Karl Brandt, to Paris to monitor vom Rath’s condition, and quietly promoted the Legation Secretary to Counselor. Newspapers were instructed to use the new rank when referencing vom Rath, and to say nothing about the promotion. In Munich, party Gauleiters were gathered to commemorate the anniversary of the Beer Hall Putsch, and not wanting to be outdone, each of them phoned his local with instructions that plans be made at once for spontaneous demonstrations against the Jews. On November 9th, Counselor Ernst vom Rath died. By the morning of November 10th, with few exceptions, every synagogue and Jewish-owned business in Germany had been vandalized or burned. By that evening, 30,000 Jewish men had been arrested. Although the crime took place in the German Embassy, Grynszpan was arrested by Paris police and remained in French custody until July 18th, 1940, when he was extradited to Germany under the terms of the armistice. He never went to trial, and the last person known to have seen him alive, in 1943, was Adolf Eichmann. He would be given a state funeral on November 17th, with Hitler present. They would spend two to three months in concentration camps, then be released, only to be arrested again within three years.